Residential survey involves the measurement of boundaries of a particular piece of land, thus also known as boundary survey. To be very specific, residential land survey is much more complex than simply calculating the property boundaries. This complex process is minutely performed by analyzing the land and then determining the plot and the boundaries of any property. Residential land survey is generally used in case of dubious lands, before building any property, extending the home etc. A boundary survey is a process that determines and relates the deed lines to physical features on the ground. 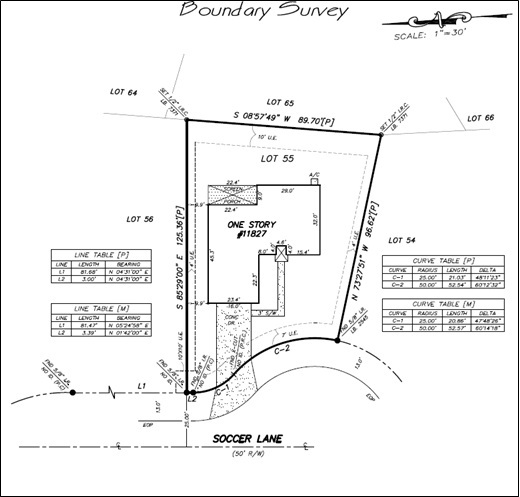 Boundary surveys are required for many reasons, such as wanting to build a fence between neighbors, to establish setback lines or to accurately determine the perimeter of a development area. Parcels of land are created using various methods to describe their position on earth A boundary survey may also be required for lot line adjustments, locating structures on parcels, or to establish the extent of right of ways and easements. The main objective of a boundary survey is to determine the location of land ownership lines; the initial phase includes land records research. Research is conducted at local, county and state agencies and offices for the purpose of locating deeds, plans, maps, wills and other documents defining the location and rights associated with a parcel of land. A boundary survey is re-establishing of title for title insurance companies, analysis of exact elements of house found on the ground etc. It is primarily performed by a licensed surveyor; as the map produced out of the survey process is a legal document. It can be produced in the court of law as per the jurisdiction.